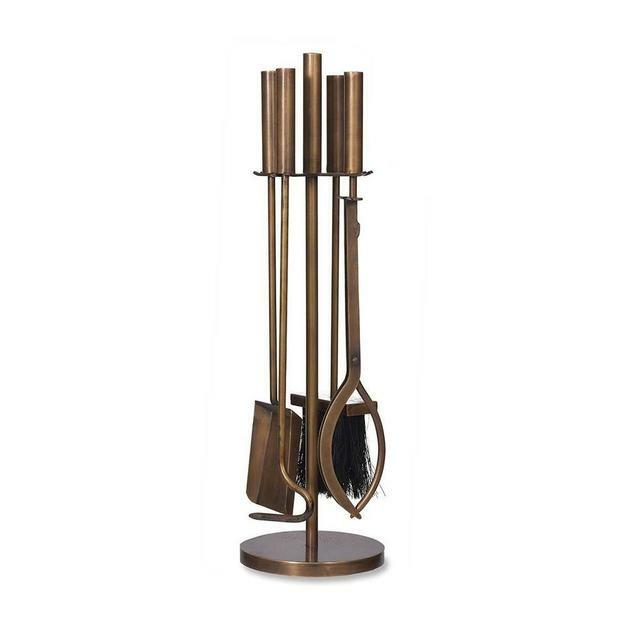 Sleek, stream-lined brass fireside tool set. 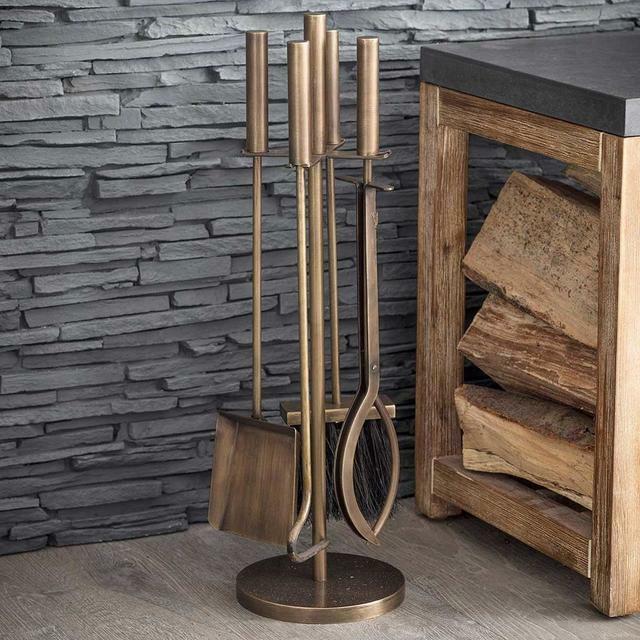 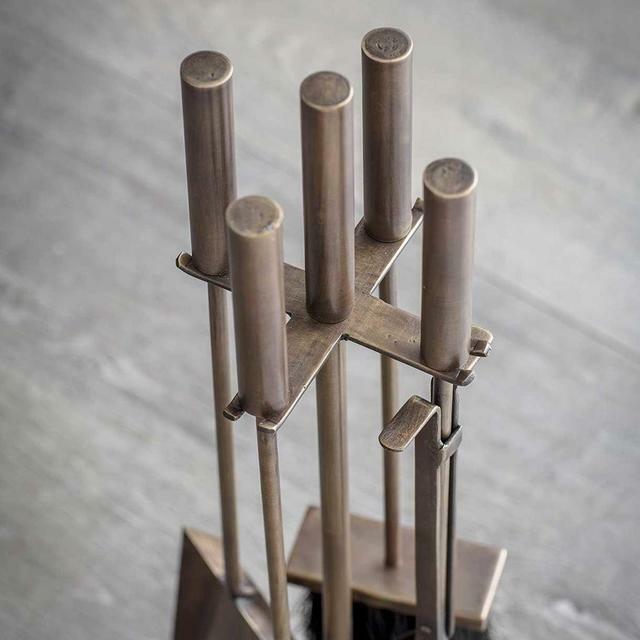 Elegant brass, contemporary 4 piece fireside tool set, on a simple and steam-lined stand. 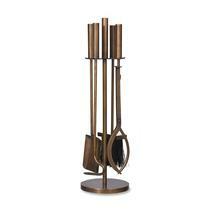 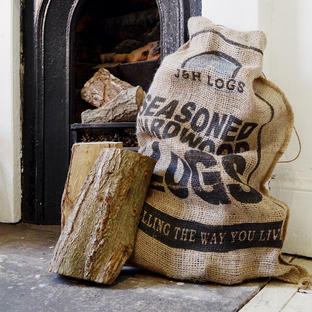 The companion fireside set is made with a brass finish.